MOROCCAN national operator ONCF (Office National des Chemins de Fer ) announced in March it plans to open Africa’s first high-speed line in late 2018, although the exact date has yet to be agreed. The new 183km Tanger (Tangiers) to Kenitra high-speed line is complete, with final testing underway. Alstom has delivered all 12 double-deck TGV Duplex trains ordered for the new line to ONCF, which is now operating test and training runs from the TGV depot built in Tanger. These are closely based on those in use in France. Nearly 500 new staff have been recruited to operate the new services. The new high-speed line is built for 320kph operation and electrified at 25kV AC. 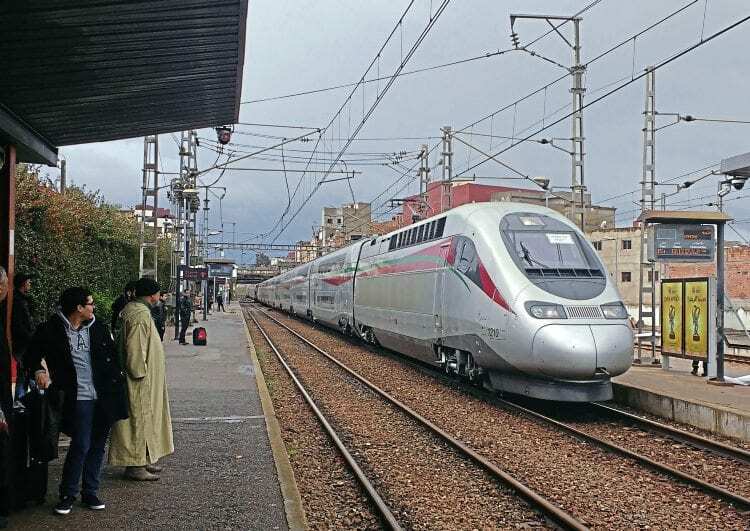 It will enable significant journey-time reductions on the Tanger to Marrakesh (via Rabat and Casablanca) line, which is ONCF’s main passenger route, with Tanger to Kenitra falling from 3hr 15min to just 50min, while Casablanca to Tanger journey times will fall to 2hr 10min (from 4hr 45min today).